How your beef is processed is as important as how it is raised. Nurture Ranch processes 1 Steer™ at a time, for beef that has tested 10X cleaner than industry standards. 1 Steer™ and 1 Cow™ processing is 100% cleaner than industry standards. Choosing 100% grass fed beef that is antibiotic and hormone free has been proven to be a healthier choice in a variety of studies from the USDA, World Health Organization, Harvard Medical School, Consumer Reports and many other credible sources that can be found here > . But, when you choose grass fed, it is as important to know how the beef was processed as it is to know how it was raised. This is because most grass fed beef is mass processed, which can diminish the positive health benefits you are buying it for. 1 Steer™ and 1 Cow™ processing, one cow at a time, can significantly reduce the potential for bacteria to grow in beef. Bacteria is found on all foods. Most often bacteria on USDA approved foods is at low levels that is not harmful. But the more bacteria that is on fresh food products, the greater the chances are it will diminish the integrity of the food faster and impact your health. Additionally, when you mix and process different beef sources together, more and different kinds of bacteria grow and spread. Aerobic Plate Count (APC) is a test that identifies bacterial populations to determine the sanitary quality, safety and potential shelf life of beef. 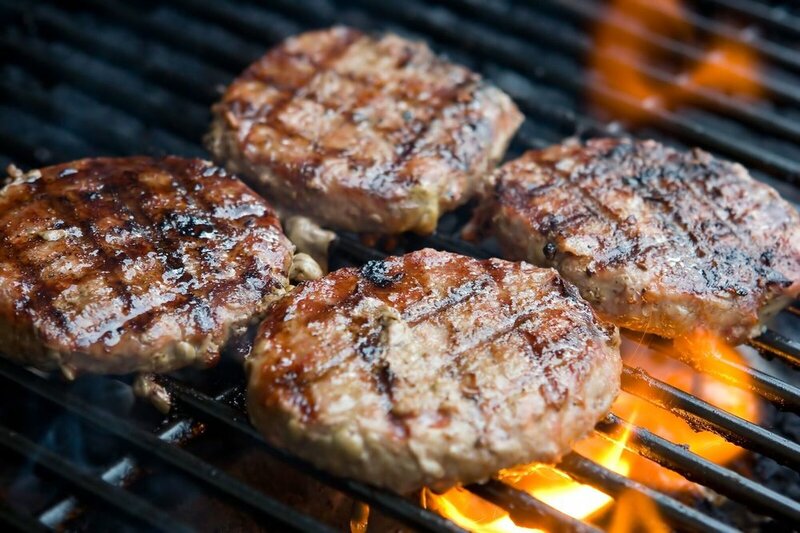 According to Murray Brown Laboratories, an independent firm that runs APC tests, the industry average for fresh ground beef is 100,000 Colony Forming Units per gram (CFU/g), the same count average as prepackaged cut chicken. This level is acceptable for human consumption. A lower APC can be considered better and a higher APC less desirable than industry standards. Nurture Ranch 1 Steer™ and 1 Cow™ Ground Beef has been found to have an APC that is significantly lower and can be considered to be 100% more likely to be cleaner, safer and fresher with a longer shelf life. Unfortunately, most beef in the US, including grass fed beef, is mass processed. Even worse, the majority of grass fed beef sold as “Product of the USA” is not from the USA and is mass processed twice. That’s right, it has already mixed parts among multiple animals in another country, which can increase bacteria, before entering the USA - Food Safety News. This is because large beef producers competitively shop the world for beef trim left overs at the very lowest cost. Once they arrive in the USA, they are mass processed a second time in USDA facilities and ground with other meats that are often from other countries too. Investigative reporters like Roberto Fredman from the Washington Post have looked in to how many different cows could exist in a single mass processed hamburger patty. The verified number for one large restaurant chain, more than 100, is staggering. Here is a link to that report - https://wapo.st/2uemseK. We founded Nurture Ranch with the mission to improve food with transparency, cleaner processing, better nutrition and exquisite taste. That’s why we process 1 Steer™ and 1 Cow™ at a time and provide a Nurture Tracker™ code on every pack. We want our consumers to know the nurturing history of the single animal from birth to harvest without hiding how it was processed or its true country of origin. We would like to hear from you. Are you aware of how prevalent mass processing is? Did you know most grass fed beef labeled, "Product of USA," is not from the USA and is mass processed twice? Please write me with your thoughts and questions.